Former NFL quarterback turned minor league outfielder Tim Tebow is still impressing his fans who are coming out to watch him in the field despite his dwindling performance with the St. Lucie Mets. At the peak of his professional baseball career, Tebow managed to come up with an impressive three-run homer to help the team land a 10–3 victory against the Charlotte Stone Crabs back in July 29. But since then, the 30-year-old athlete struggled in his last 17 games. However, reports claim that Tebow's fans continue to come to his games to see him play in action while donning his baseball jersey. 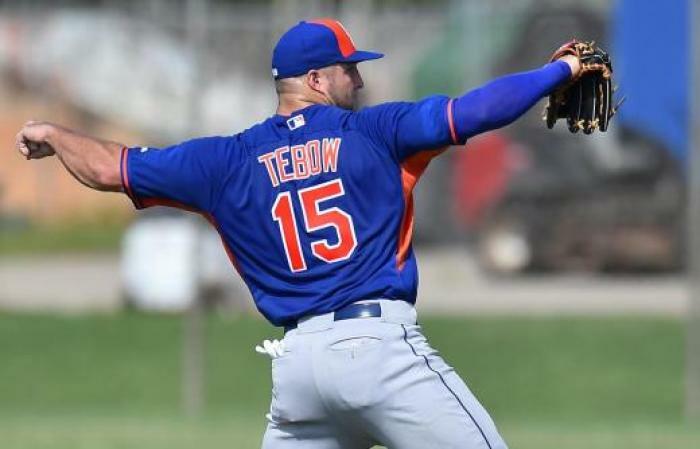 Tebow's fan from Dunedin, Florida, Scott Caterson, said that he purchased the tickets for all the four Mets games in Spectrum Field when he found out that Tebow has been promoted by the New York Mets to the Florida State League in June. He also claimed that he still believes that Tebow will still end up well in the professional baseball league despite his slump, saying he has a good team to help him. "Baseball is a game of slumps," the fan stated. "He's got new coaches here — I'm sure he's going to work it out." Meanwhile, other reports reveal that people are still lining up to get his autograph. One of them is the member of the Big Brothers Big Sisters of America organization member Joy together with her 40-year-old big sister Tracey Fritzinger. According to Fritzinger, Joy already has Tebow's autograph on a piece of paper, yet her little sister still wants to ask him for an autographed baseball as well. That is why the St. Petersburg resident decided to watch him play again at the Spectrum Field and wait until he can sign the ball for Joy. Tebow and the St. Lucie Mets will be up against the Charlotte Stone Crabs on Tuesday, Aug. 22, at the Charlotte Sports Park in Port Charlotte, Florida.